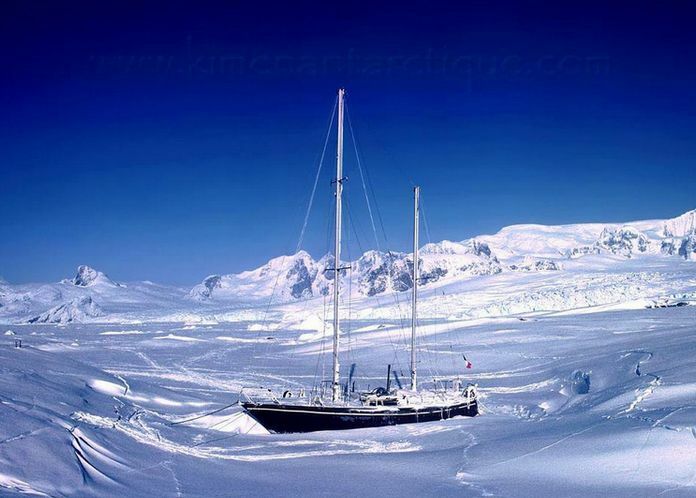 Channel Yacht Sales > Information Pages > Captain’s Blog > Captain's Blog > On Ice..
Winter is very much here and with Christmas round the corner its very easy to forget about the boat and just stay warm and cosy at home by the fire. A Clean Boat – Will protect the boat for longer and mean less work when the time comes to take her out again. We recommend cleaning all the superstructure you can plus a quick wax if you can and don’t forget your spray hoods or covers! Ideally take them off and store them in a dry place for a few months because if you don’t, if already in poor condition they will perish further and they are not cheap to replace. Flush the Cooling System – Inboards and stern drives will benefit hugely by flushing the engine through to remove any dirt or salt. Its also recommend that you flush through Anti-Freeze with temperatures expected to drop during the winter period. Fill your tank – Make sure your fuel tank is full to stop the build up of condensation whilst not in use. Prevents sediment getting into the fuel. From Bow to Stern – Check her over in full. Be the best time to catch any problems you might have missed and gives you an opportunity to make a list of jobs required in the new year to tackle. Clean and Dry Bilges – Clean out your bilges of any water or oil. It is also a good idea to check lockers as they sometimes have a habit of filling up! Remove and Store – If you can, take your cushions out for the winter and anything perishable.